Fish Market, Anne St Marie, 1958. Photo by Jerry Schatzberg. Photo by Jerry Schatzberg for Vogue, October 15, 1958. Monique Le Fevre and Unidentified Man, New York, 1958. Photo by Jerry Schatzberg. Anne St. Marie, 1958. Photo by Jerry Schatzberg. 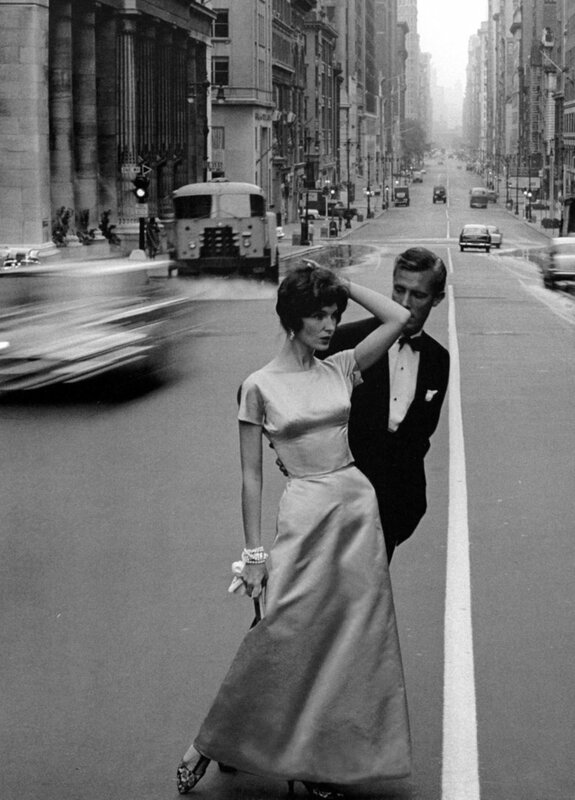 Joanna McCormick and Colin Fox photographed by Jerry Schatzberg in New York, 1958. 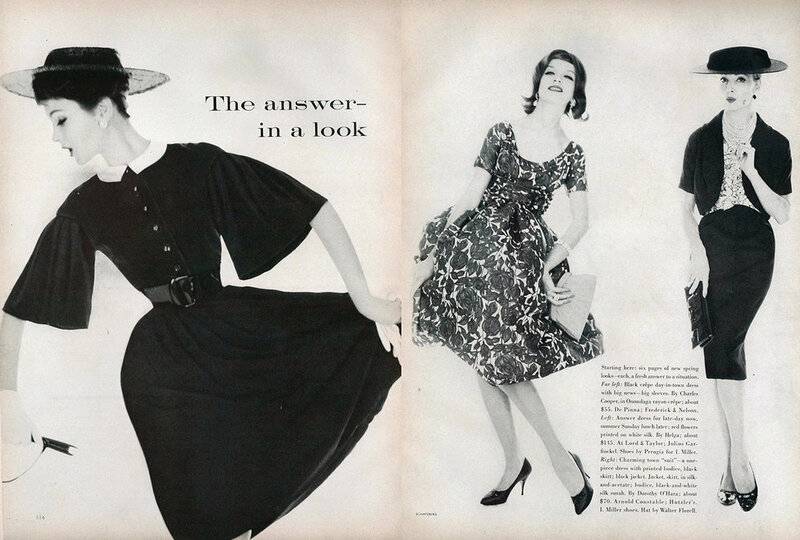 Anne St Marie wearing Lucien Lelong, 1958. Photo by Jerry Schatzberg. Four at Gramercy Park, New York , 1959. Photo by Jerry Schatzberg. 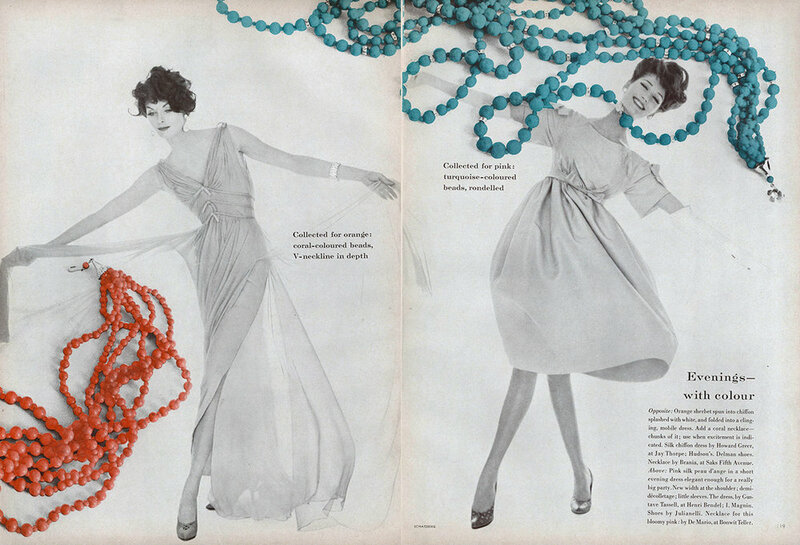 Photos by Jerry Schatzberg for Vogue, February 15, 1959. 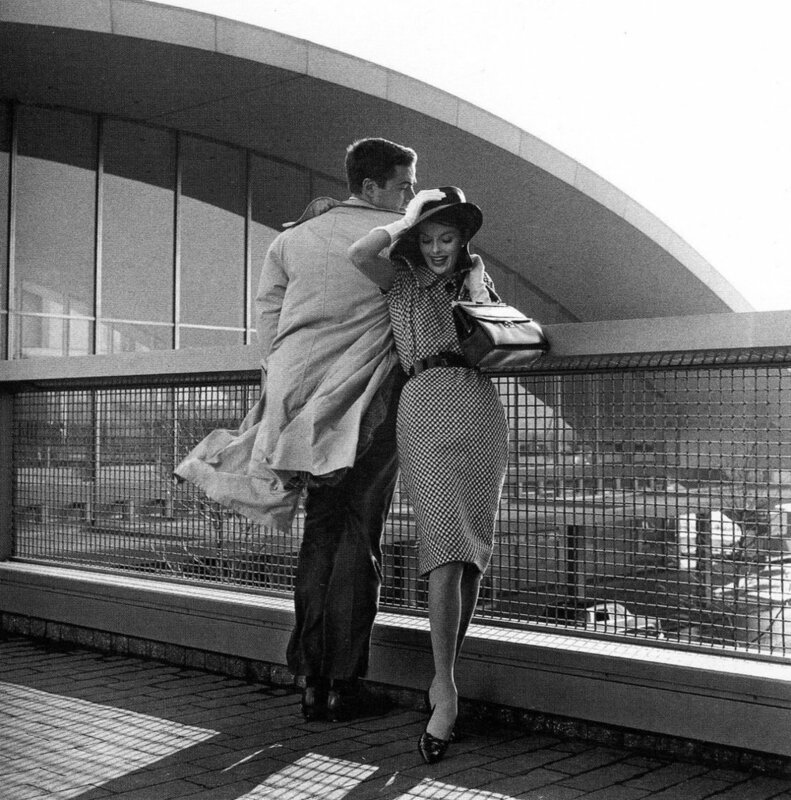 Anne St. Marie and Bob Smith, TWA Terminal, New York, 1959. Photo by Jerry Schatzberg. Nico, 1961. Photo by Jerry Schatzberg. Behind the scenes at YSL’s first show, 1962. Photo by Jerry Schatzberg. Sara Thom, 1960. Photographed by Jerry Schatzberg. Sara Thom, 1962. Photo by Jerry Schatzberg. Martha Graham, 1962. Photo by Jerry Schatzberg. Triplets, New York, 1964. Photo by Jerry Schatzberg. Agneta Freiberg, Katherine Carpenter, Robert Vaughn, David McCallum by Jerry Schatzberg. Robert Redford, 1964. Photo by Jerry Schatzberg. Jane Fonda by Jerry Schatzberg, 1964. The Beatles, 1964. Photo by Jerry Schatzberg. Catherine Deneuve by Jerry Schatzberg, 1965. Charlotte Rampling, 1965. Photo by Jerry Schatzberg. Bob Dylan, 1965. Photo by Jerry Schatzberg. Sonny & Cher by Jerry Schatzberg, 1965. Edie Sedgwick , 1965. Photo by Jerry Schatzberg. Faye Dunaway, 1966. Photo by Jerry Schatzberg. The Rolling Stones , 1966. Photo by Jerry Schatzberg. The Rolling Stones in drag, 1966. Photo by Jerry Schatzberg. Mary Tyler Moore, 1966. Photo by Jerry Schatzberg. Vidal Sassoon by Jerry Schatzberg, 1966. Sharon Tate, 1966. Photo by Jerry Schatzberg. Natalie Wood by Jerry Schatzberg, 1966. Frank Zappa, 1967. Photo by Jerry Schatzberg. Sharon Tate by Jerry Schatzberg, 1967. Aretha Franklin by Jerry Schatzberg, 1967. Mama Cass, 1967. Photo by Jerry Schatzberg. Warren Beatty, 1967. Photo by Jerry Schatzberg. Steve McQueen, 1967. Photo by Jerry Schatzberg. Steve McQueen & Faye Dunaway, 1967. Photo by Jerry Schatzberg. Faye Dunaway. Photo by Jerry Schatzberg. 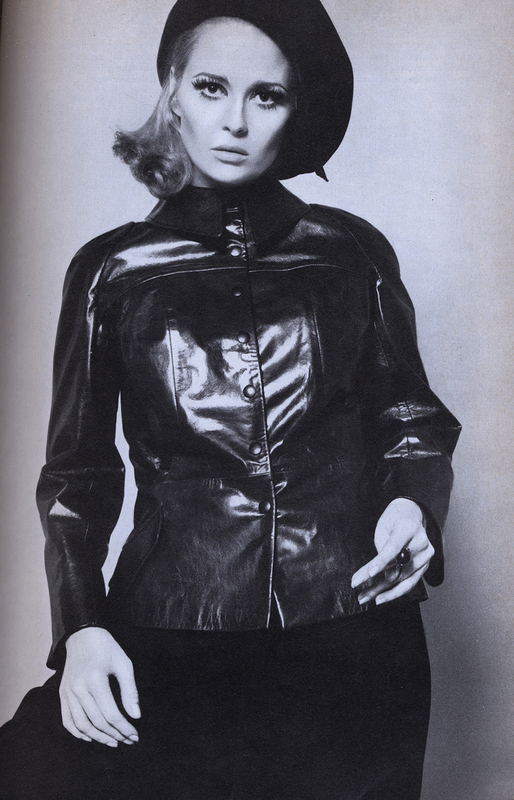 Faye Dunaway by Jerry Schatzberg for Vogue UK, January 1968. Jerry Schatzberg and Faye Dunaway on their way to the afterparty for the French premiere of 'Bonnie & Clyde' on January 24, 1968. Jerry Schatzberg and Faye Dunaway with Françoise Sagan at the afterparty for the French premiere of 'Bonnie & Clyde' on January 24, 1968. Jerry Schatzberg and Faye Dunaway leaving the afterparty at New Jimmy's for the French premiere of 'Bonnie & Clyde' on January 24, 1968. 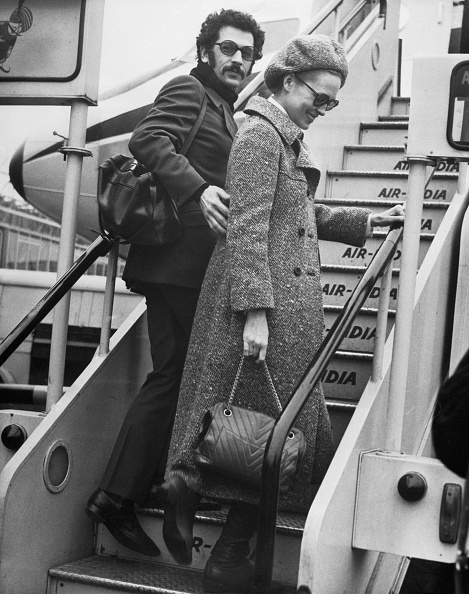 Jerry Schatzberg and Faye Dunaway leaving Paris on January 30, 1968. Warren Beatty, Faye Dunaway and Jerry Schatzberg at the 1968 Golden Globes. Faye Dunaway, 1968. Photo by Jerry Schatzberg. Faye Dunaway and Jerry Schatzberg. Photo by Terence Donovan for the Daily Express newspaper, November 1967. Photo by Jerry Schatzberg, 1969. Jerry Schatzberg on the set of his debut film, 'Puzzle of a Downfall Child', 1969. Faye Dunaway in Schatzberg's 'Puzzle of a Downfall Child' (1970). Poster for 'Puzzle of a Downfall Child' (1970). Al Pacino, Jerry Schatzberg and Kitty Winn on the set of 'The Panic in Needle Park,' 1970. 'The Panic in Needle Park' (1971). Schatzberg with his cinematographer, Vilmos Zsigmond, on the set of 'Scarecrow' (1973). 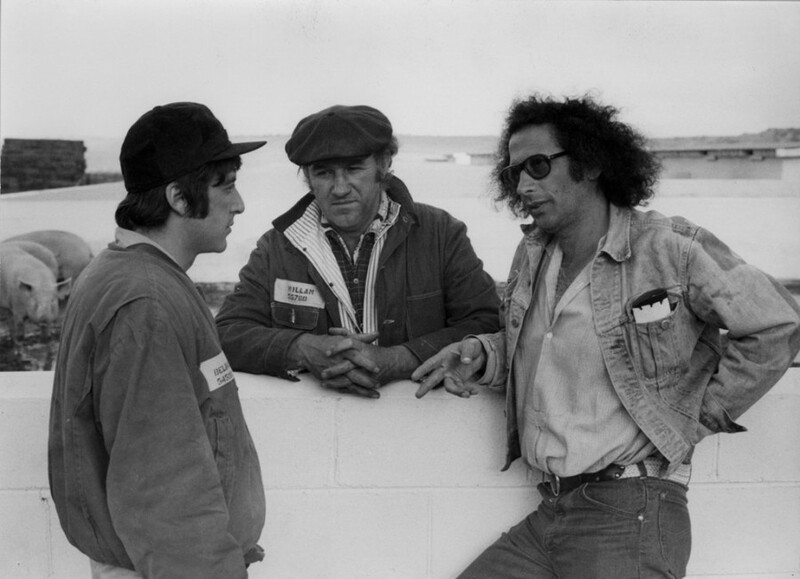 Al Pacino, Gene Hackmann and Jerry Schatzberg on the set of 'Scarecrow' (1973). "Balloons and Eyes." Photo by Jerry Schatzberg, 1974. "Gossip Girls." Photo by Jerry Schatzberg, 1973. 'Sweet Revenge' (1976), directed by Jerry Schatzberg. 'The Seduction of Joe Tynan' (1979), directed by Jerry Schatzberg. Dyan Cannon and Jerry Schatzberg at the 'Honeysuckle Rose' premiere party, 1980. 'Honeysuckle Rose' (1980), directed by Jerry Schatzberg. "The Main Course." Photo by Jerry Schatzberg, 1981. 'Misunderstood' (1981), directed by Jerry Schatzberg. 'No Small Affair' (1984), directed by Jerry Schatzberg. 'Street Smart' (1987), directed by Jerry Schatzberg. 'Reunion' (1989), directed by Jerry Schatzberg. Connecting all of the conversations for Lady’s After Hours are subjects who have lived passionate, creative lives. They all actively created their lives—eschewing convention in favor of following their muse along an often-unpredictable path. Often what we are told about success by the media fits a very simple narrative—either someone is an over-night success or they overcome hardship to attain their dreams. There is very little discussion of the nuances and complexities of their journey. With these conversations, I allow cultural creatives to tell their stories and fully explicate their paths with every twist and turn and derailment and achievement—hopefully broadening the accepted narrative and bringing acceptance to other artists and makers still figuring their lives out. In January I met with Jerry Schatzberg at his Upper West Side apartment. A renowned photographer and film director, Jerry is 90 years old yet still creating and working hard. Originally from the Bronx, Jerry became intrigued with photography while working at his family’s fur business after WWII. With a family to support and no previous knowledge of the art, it took him several years to find a way into the industry—eventually landing a job in the mid-1950s assisting William Helburn, an advertising and fashion photographer. 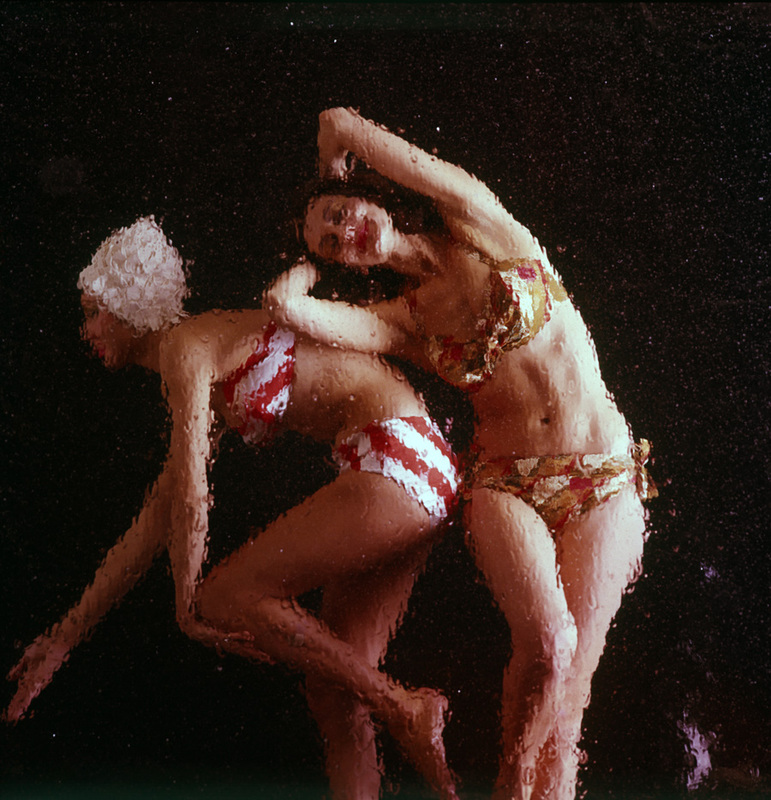 With incredible focus Schatzberg learned quickly, amassing a portfolio of his own images taken in off hours. Within six months of going out on his own, Jerry had made his way to the top of the fashion industry and was photographing for Vogue. 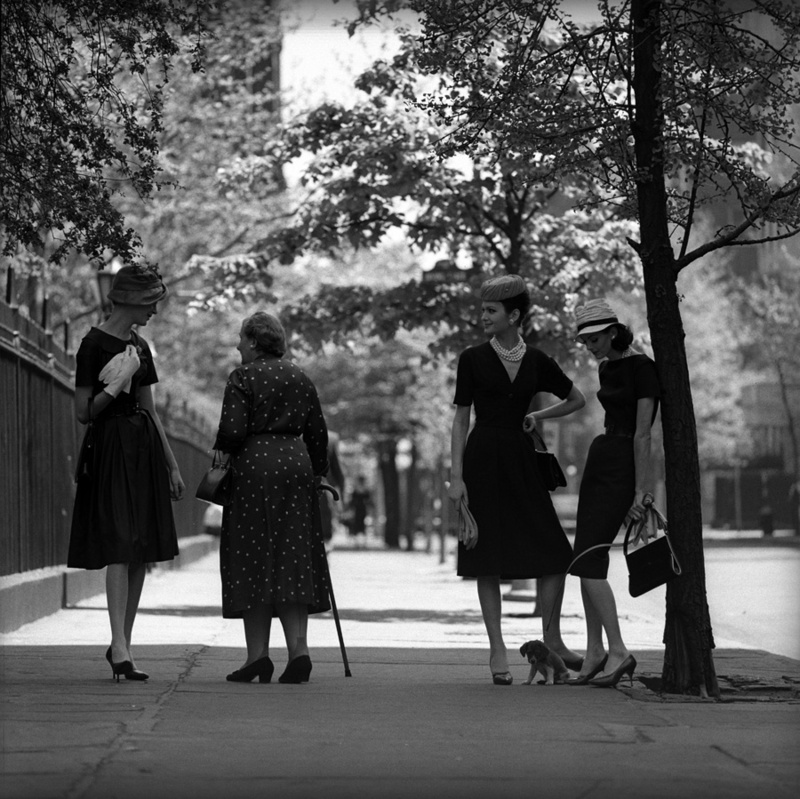 Schatzberg’s fashion photographs have an elegance and energy that explodes off of the page. He had become a favorite with models and editors while still an assistant. When I first met Jerry five years ago to discuss having him shoot a story for Lady’s first issue, I was immediately blown away by him in person—his physicality and attitude is such that even in his ninth decade he was one of the sexiest men I had ever met. In an instant I understood how he cultivated such intimacy in both his fashion images and portraits—his attitude is such that both women and men were drawn in by his aura. Magazine editors understood this power and booked Schatzberg for portrait shoots, where he used his innate charisma to capture deeply intimate moments with actors, musicians and celebrities. Not content to only photograph the glamorous side of fashion and pop culture, Jerry also turned the camera around to record behind-the-scenes. In 1962 he was sent by Esquire to capture the Paris haute couture collections, which he captured from every angle—published in 2008 as Paris 1962: Yves Saint Laurent and Christian Dior, The Early Collections, these images provide a private, candid look at the hidden world of sewers, cleaners, designers, dressers, editors and photographers all required to create the artifice of glamour. Perfectly placed and well-suited to document the pop culture shifts of the Sixties, Schatzberg photographed such luminaries as the Beatles, The Rolling Stones and Bob Dylan while also hosting raucous parties for them at his studio. As celebrated as his subjects, Jerry appeared often in the gossip columns as a “man about town” especially once he became part owner in two of the hippest nightclubs in town—first, Ondine, uptown; and then, Salvation, in the West Village. Jimi Hendrix memorably played Salvation’s opening night. 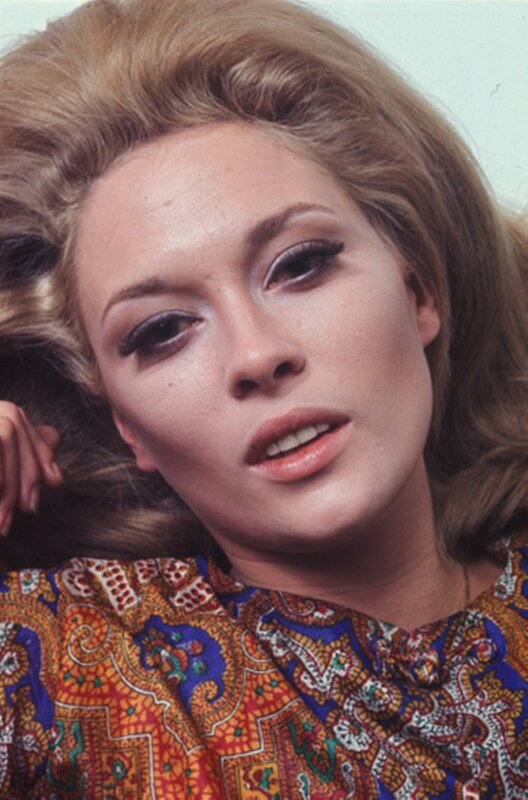 In 1967 Schatzberg became even more of a tabloid favorite when he took up with an up-and-coming young actress, Faye Dunaway. The pair were briefly engaged and he took many of the most iconic photographs of her just as she hit superstardom with Bonnie and Clyde. While filming Amanti in Italy Faye fell in love with Marcello Mastroianni, yet she remained friends with Schatzberg and starred as a mentally ill fashion model in his first film, Puzzle of a Downfall Child. Jerry was always attracted to more offbeat characters—those on the edges of society or following unconventional paths: a model in Puzzle of a Downfall Child (1970), heroin addicts in The Panic in Needle Park (1971), vagabonds in Scarecrow (1973), a car thief in Sweet Revenge (1976), a politician in The Seduction of Joe Tynan (1979), and country musicians in Honeysuckle Rose (1980). He discovered a young Al Pacino in an off-Broadway play and cast him in his first film, The Panic in Needle Park; their second film together, Scarecrow, won the top prize at the 1973 Cannes Film Festival. Jerry’s interests in films such as these led him to turn down blockbusters and choose a less conventional directorial path. Other than taking at office job developing scripts for two years in the mid-1970s, Schatzberg never sought an ordinary life, which led to somewhat strained relationships with his children yet has also provided him with a creative life that still fulfills him. In this conversation Schatzberg allows us entry into his creative process and discusses openly the act of developing an idea into a script over many years and the difficulties then faced in getting it to the screen. While still seeking to complete more movies, Schatzberg has directed over a dozen in his long career—his other films include Misunderstood (1981), No Small Affair (1984), Street Smart (1986), Reunion (1989) and The Day the Ponies Come Back (2001). A true New Yorker, Jerry has lived in the same apartment near Central Park for over forty years. Held there is his archive of images—a new book of Dylan photographs is in the works as is a new photographic exhibition. With the energy of someone half his age, Schatzberg walks the streets of the city, photographing it and weaving it into the script he’s currently writing, while also constantly flying to film festivals around the globe. 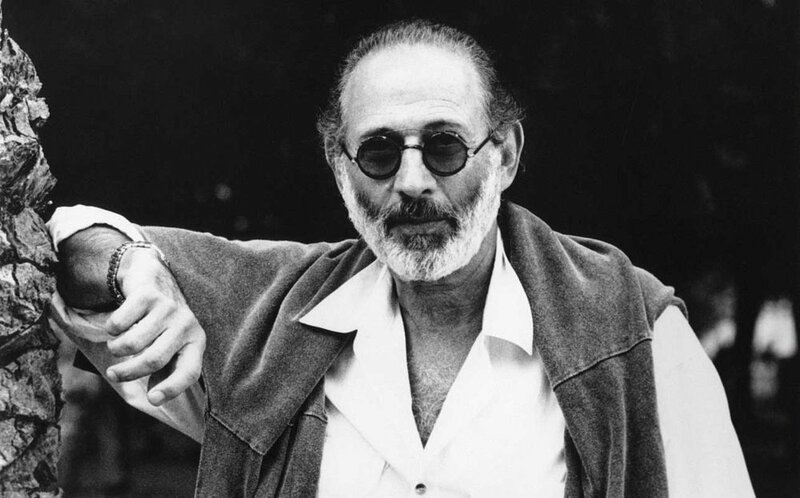 Inspiring as a creator of photographs and films, Jerry Schatzberg is equally as inspiring for his thoughts, perspectives and passion for life.